All we can say is, "Finally!!!" Trying to figure out board revision to CPU compatibility can be challenging at best. 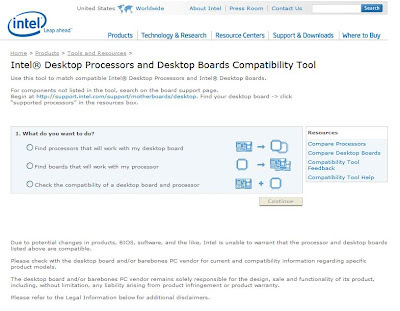 Intel now has the Intel® Desktop Processors and Desktop Boards Compatibility Tool. We now have a tool that will facilitate a quick reference for that board revision quest.